After a tough first half of the season the New York Yankees disparately needed a reliable starter and for the month of August Andy Pettitte stepped into that role perfectly. Over a span of six starts Andy went a perfect 6-0 with a 2.36 ERA on his way to earning the first ever Pepsi Clutch Performer of the Month Award which is given to the player who plays best when the stakes are high. "He enjoys the challenge, he pitches big games and is not afraid of anyone,” Derek Jeter said to the NY Post. Pettitte's performance was integral as the rest of the rotation struggled to keep the team in games. Chien-Ming Wang was the only other starter who provided the team an adequate chance to win making quality starts four out of six times in August, but beyond that the team was lost. Roger Clemens made three quality starts while Phil Hughes and Mike Mussina provided almost no assistance whatsoever with only three quality starts between them. The month ended with Mussina being removed from the rotation for ineffectiveness. Pettitte came up huge three times particularly earning victories after Yankee losses every time during the stretch going 3-0. "He always seems to step up big," Jeter said to the AP. 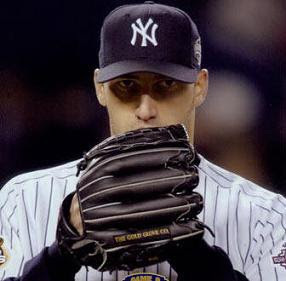 Indeed Pettitte has made quite a reputation for himself while pitching his team to the World Series seven times throughout his career. "It seems like in a big game he is the guy you want on the mound," Jorge Posada said to the Post. Despite a slow start to the season Andy has come on strong since the All-Star break. Since the mid-summer classic he has posted a 9-2 record with a 3.14 ERA and seems to only get stronger with every start. "I'm really just feeling good," Pettitte said to MLB.com. "My command's been there and that's the key. I'm throwing my stuff for strikes and my two-seamer has been there. It's been a big pitch for me." Checkout more New York sports at Hot Stove New York.